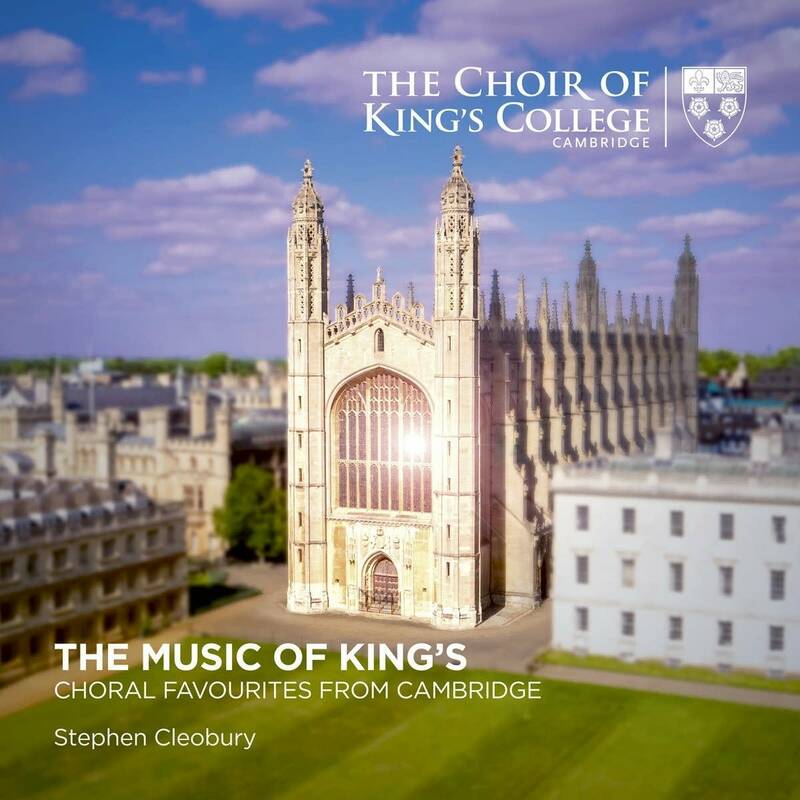 Stephen Cleobury has spent the past 37 years as the director of music for the King's College Choir, Cambridge. He's about to embark on his final U.S. tour with the choir later this month. That tour will include several pieces found on their latest recording, The Music of King's. 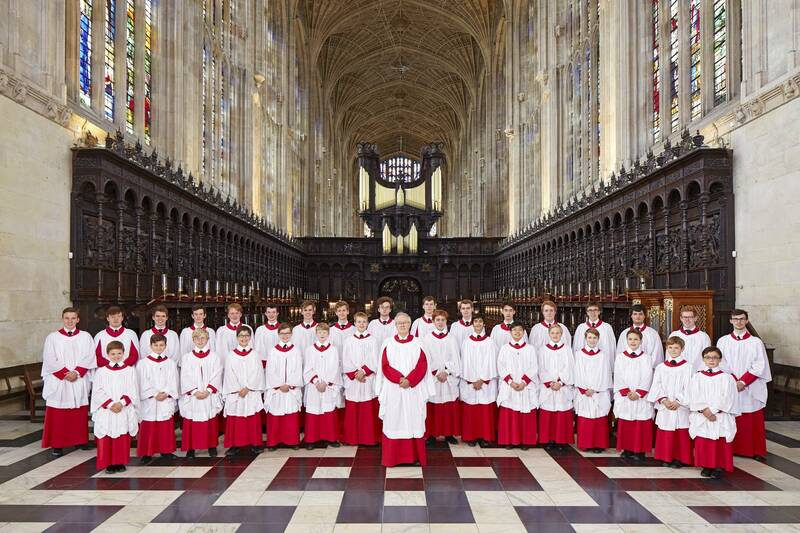 The Choir of King's College, Cambridge, is one of the world's best-known choral groups. They perform daily services in the magnificent chapel at King's College. And every Christmas Eve, millions of people around the world are able to tune in to a live broadcast of this angelic choir's annual Festival of Nine Lessons and Carols service. I know that this tour will include some pieces from your most recent release, The Music of King's, and in fact, the recording opens with one of your favorite composers, Monteverdi. And I think that may be how you're opening the tour as well. Would you talk more about this composer and what you love so much about Monteverdi? "Well, I just find Monteverdi's music so energetic and expressive that I can't resist it really. I first came to it through the famous Vespers of 1610, which is a very considerable composition which I heard in Hereford Catherdal in 1961. And ever since then, I've used every opportunity to perform Monteverdi when I can. But it's a large piece, so it's useful that there are other smaller scale anthems, such as Cantate Domino, which can be used on a more regular basis." I have to say, one of the things I love about this choir is when I get to hear those treble solos, which we hear in the Pie Jesu. Would you talk a little bit about that soloist, and how that piece came together? "We perform Faure's Requiem most years. And so it's a piece the boys know quite well. And I suppose in any given year we have a few of them who could do a really good job with this solo. On this occasion we have Joe Hall. "It's one of those interesting pieces because it sounds very beautiful and ethereal, but it also sounds relatively easy. But it does present quite a challenge for the singer in terms of the length of the phrases and the degree of breath control that's required. But when it's successfully accomplished, the effect is very beautiful indeed, I think." It has almost an angelic feel to it, it's just so beautiful. "What you get when you hear a young treble sing this is a purity of sound, which I can see leads you to use that word, angelic. I hasten to add the boys aren't all angelic all the time, but they can sound like that." I was quite pleased to see The Road Home on this recording by Stephen Paulus, who was a Minnesota-based composer. I know that he also, I believe, is still the only American composer who was commissioned to write a piece for the Festival of Nine Lessons and Carols. Is that still the case? "I think you're probably right in saying that. I've known, or shall I say I knew, Stephen Paulus, and was fortunate enough to meet him on one of my visits. I think this is a most touching, and moving little piece, which we were very glad to include in this recording."